A Philosophical Salon is shamanic/philosophical counseling for groups in Rold Forest, Denmark. It can happen both indoors and outdoors. Usually it happens in connection with forest therapy - see my website Nordic Shamanism and Forest Therapy. The Philosophical Salon is inspired by Plato´s Symposium, where a group of people were gathered in order to speak about a certain topic. The main character was Socrates, and there were both used philosophy and storytelling. In Platonism philosophy is considered to be a spiritual practice with a spiritual purpose. 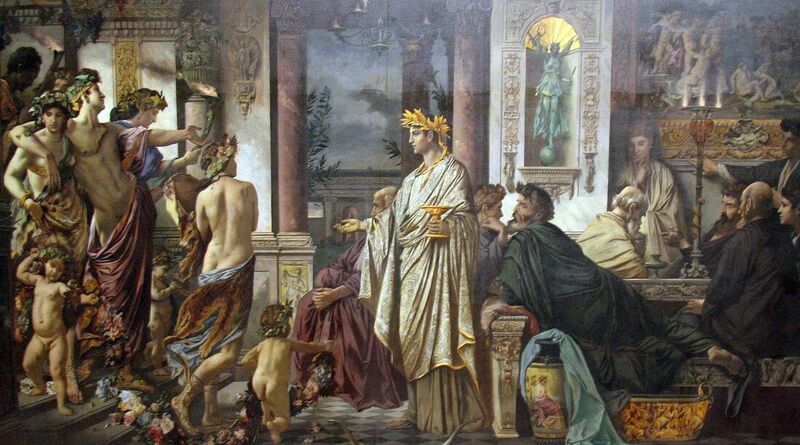 The Philosophical Salon follows the Traditionalist School, which is concerned with what we consider to be the demise of traditional forms of knowledge, both aesthetic and spiritual, within Western society. A central belief of this school is the existence of a perennial wisdom, or perennial philosophy, which says that there are primordial and universal truths which form the source for, and are shared by all the major world religions. In relation to the modern society, The Philosophical Salon advocates alternative life styles, and supports the so-called Bohemianism. In accordance with the philosophers of antiquity (and traditional shamanism), I don´t take any fees. Sacred Web (a journal of tradition and modernity. This journal aims to identify Traditional “first principles” and their application to the contingent circumstances of modernity. Here you can find a lot of free articles, which could suggest topics for discussion). ​Fictional Cities (a website about how stories add spice to our ideas and feelings about the cities we love). The Autumn Salon (a website dedicated to raise awareness around individuals who, through connecting the traditional wisdom of the past with the living energy of the present, are contributing to a global culture of the future). Myth and Moor (Wonderful blog by Terri Windling on folklore, fairy tales, fantasy, mythic arts and mythic living). The Journal of Mythic Arts (JoMA was a pioneering online magazine dedicated to Mythic Arts: literary, visual, and performance arts inspired by myth, folklore, and fairy tales. Published by The Endicott Studio, edited by the above mentioned Terri Windling, JoMA ran from 1997 to 2008. This website contains material drawn from JoMA's 11 years of publication. It is kept online as a Mythic Arts archive, and as such is not updated. For more recent discussions of Mythic Arts, fantasy literature, and related topics, visit Terri Windling's Myth & Moor. ​On my own blog Morten Tolboll I regularly write related texts. In the blog archive you can for example search under the categories Questions and Answers (examples from my counseling sessions) and Philosophy as a Spiritual Practice (theoretical reflections).